When I was girl I always enjoyed sewing clothes for my dolls. I know a lot of little girls, but for some silly reason I haven’t sewn for them. 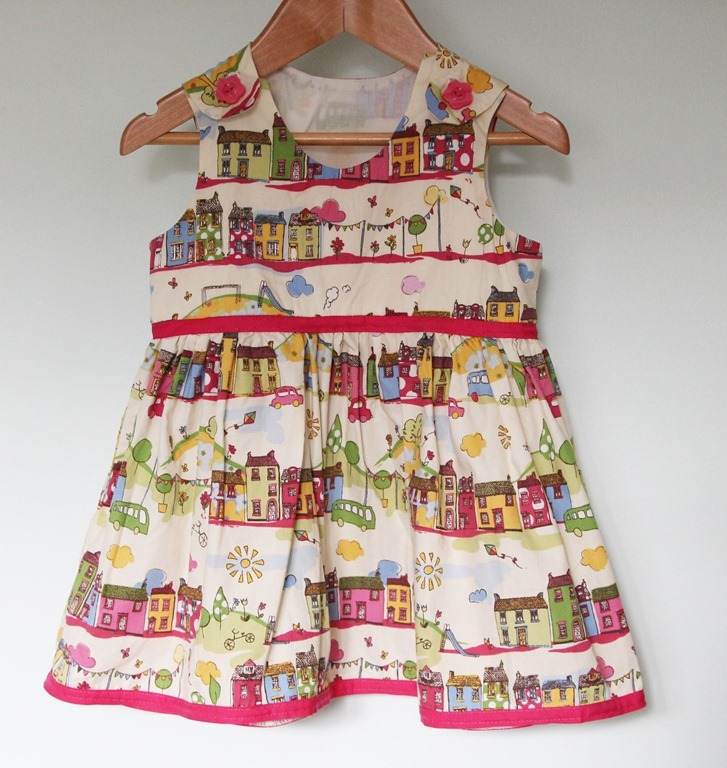 Last week I whipped up a dress on a whim for my cousin’s daughter. I can’t show you that dress because she hasn’t seen it yet, but I can show you this weekend’s effort. This dress is a donation for a charity auction to be held on Facebook tomorrow night. You can visit this page for details. I’m on a roll now and will be making a very limited collection of baby Christmas dresses over the coming months for my store. Oh it’s gorgeous!! I love the fabric and the little buttons :) You did a great job!